Yes! Life suddenly became different. Many of us, mostly the scientists, who were sailing on-board the JOIDES Resolution as well as on an International Ocean Discovery Program expedition for the first time, had been occupied for the first few days to adopt the new life on-board, and to learn techniques that would be used for the research during the cruise. However, deep inside we were very excited as we all were waiting for the first core to surface. We were continuously watching the live internal broadcast on TV day and night, and on February 07 evening a heavenly voice announced ‘core on deck’. We all rushed to the core deck to see the core. We all knew that we were expecting either sandy or silty or muddy sediment, but there was more than the lithology of the core. Sediments, which were under the sea for million of years, were coming up to the surface. Was not the excitement natural? 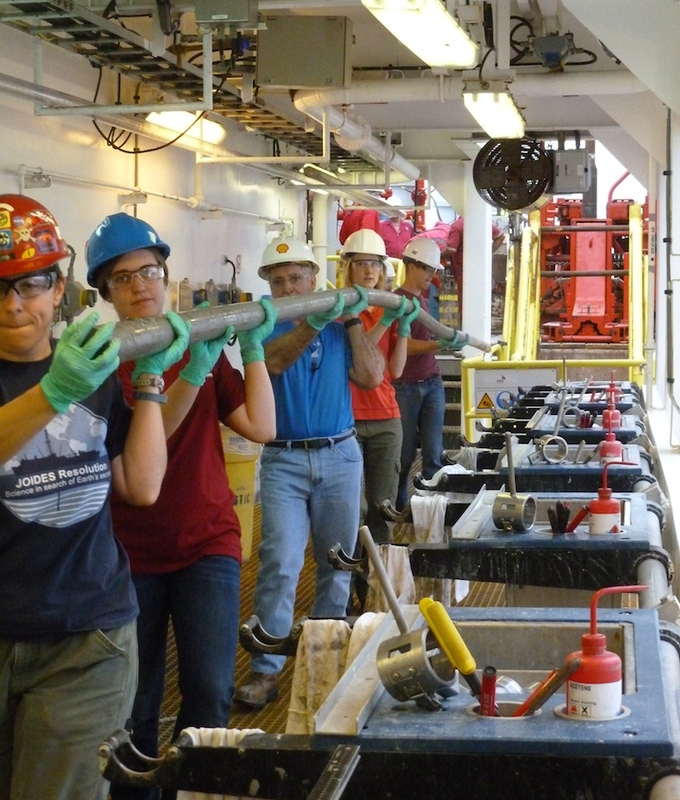 After the core came to the core deck all scientists became busy taking samples, describing and processing the core for further analysis. And soon, it became a habit of getting core on deck. However, the excitement of what the core would reveal will stay with us until we decode the puzzles Mother Nature secretly left for us.